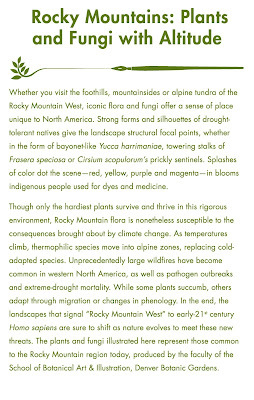 The complete exhibit: Rocky Mountains: Plants and Fungi with Altitude with its interpretation is now on-line. You can access it by clicking here or follow the link on the right hand column under Of Note. 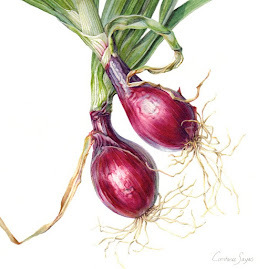 Bridget Gillespie was awarded a Gold Medal for her exhibit Root Vegetables Life Cycle and her plate Beetroot Beta vulgaris was selected to the best botanical painting in this RHS show. 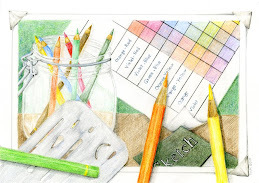 Mylar® is used in our School for a variety of media: colored pencils, pen and ink (technical pen and quill), ink washes and polycarbonate pencil (plastic pencil). Mylar is a polyester film and one of the brand names for stretched polyethylene terephthalate (PET). The true Mylar® is a registered trademark owned by DuPont Tejin Films. Since Mylar® polyester film was invented in the early 1950s, it has been used in a variety of applications that add value to products in virtually all segments of the world. Its excellent balance of properties and extraordinary range of performance capabilities make Mylar® ideal for a broad array of applications in the electrical, electronics, magnetic media, industrial specialty, imaging and graphics, and packaging markets (cooking bags are also mylar). Mylar® is available in a variety of finishes and gauges. We typically use double frosted Mylar® for colored pencil, ink and plastic pencil, we like the 5 mil thickness best. The inquiries were to find the best supplies for you can addressed to Grafix Plastics. 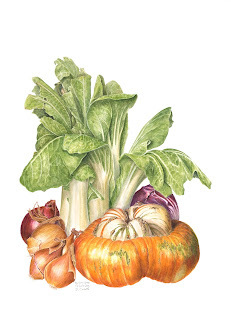 Egg tempera was first discovered in Egypt and was the main method of painting through the Byzantine period into the Renaissance. This method is also commonly used in icon painting. The natural pigments are mixed with egg yolk (sometimes also with egg white) and painted on wooden panels surfaced by gesso (gypsym mixed with animal glue to a paste). 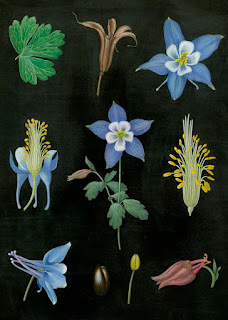 You can read more about egg tempera history and method here. 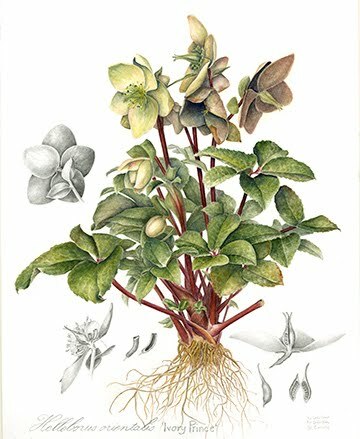 Please click here to see more mages from the last day at the RHS 2017 Botanical Art Exhibit. 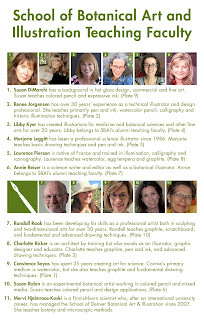 The core of nine teachers provides regular instruction at the Denver Botanic Gardens School of Botanical Art and Illustration (Susan DiMarchi, Renee Jorgensen, Marjorie Leggitt, Laurence Pierson, Randall Raak, Charlotte Ricker, Susan Rubin, Constane Sayas and Mervi Hjelmroos-Koski). 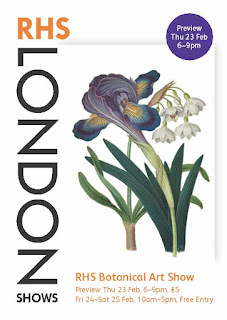 The quality of their work (including two school alumni, Libby Kyer and Annie Reiser) as a group was validated yesterday with a Gold medal from the Royal Horticultural Society in London. 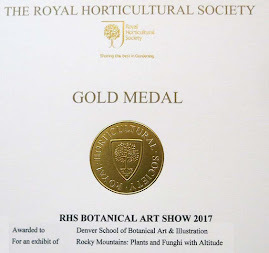 Please click here to see the plates included in "Rocky Mountains - Plants and Fungi with Altitude"
Royal Horticultural Society's 2017 Botanical Art Show: Gold Medal for SBAI! Denver Botanic Gardens' School of Botanical Art and Illustration was awarded a gold medal at the 2017 Royal Horticultural Society's Botanical Art Show. We'll learn tomorrow about the details of the 8-people judging team's opinion about our teacher's work. Mariko Ikeda from Japan was given the Best Botanical Art Exhibit award with the Gold Medal for her outstanding exhibit of Pandanus (photo below). You can see few more images by clicking here. 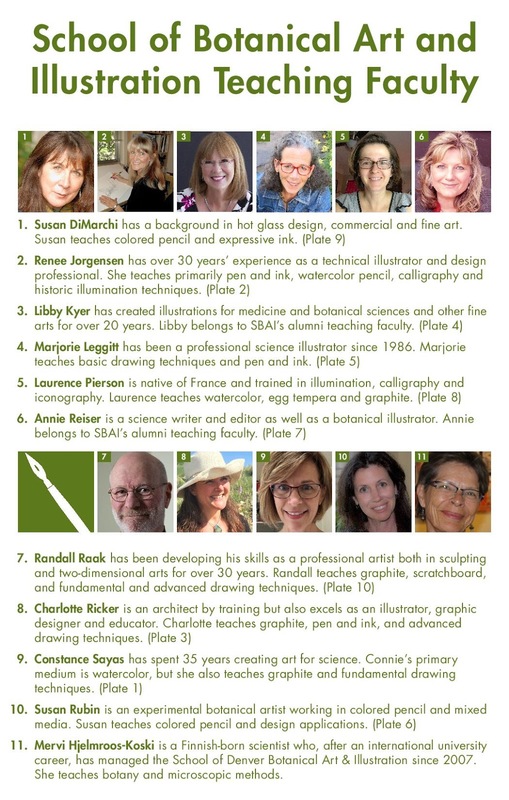 The teaching faculty of Denver Botanic Gardens School of Botanical Art and Illustration is participating this year in the RHS Botanical Art show with a 10-piece group presentation: Rocky Mountains - Plants and Fungi with Altitude. 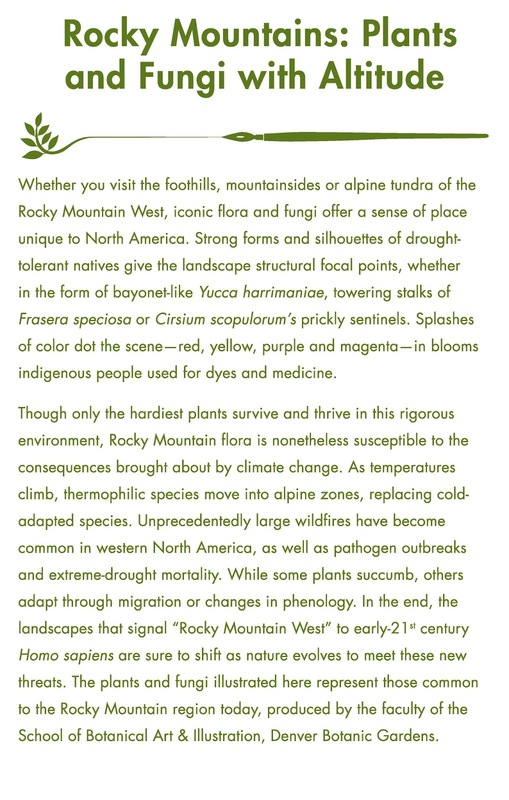 We are displaying a selection of representatives from the different Colorado life zones from the foothills shrublands (1 700 m altitude) to the alpine tundra (3 200 m altitude). 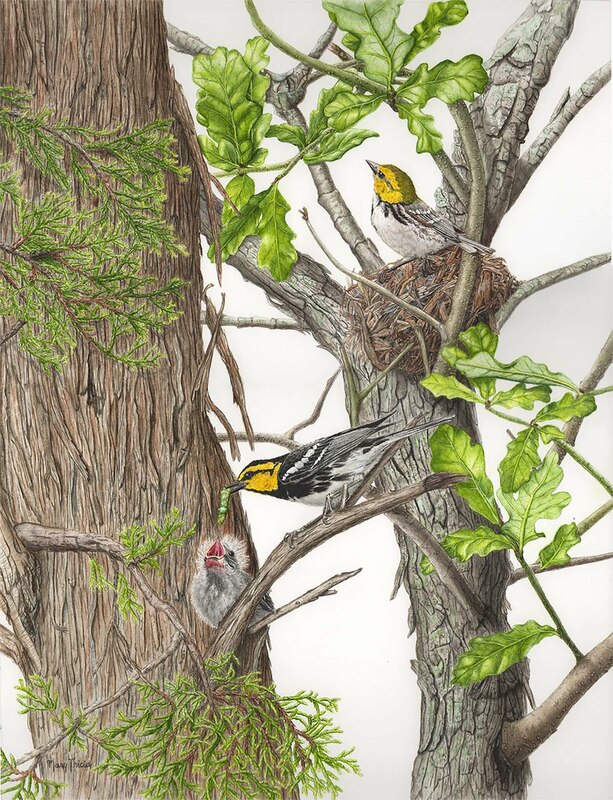 The media used for our presentation are the ones taught in the school: graphite, ink, colored pencil, watercolor, egg tempera and watercolor pencil.To see few more images from our installation please click here. Comics in Cafe Botanique, March 1, 6:30-8 p.m. Recent studies indicate a precipitous drop in scientific literacy among a majority of Americans. Today's graphic novels (aka long-form comic books) present an interesting opportunity for facilitating a easier entry point for readers. The multi-modal format (text in conjunction with images) allows creators to, among other things, break down complicated scientific concepts for a wide variety of learning styles. 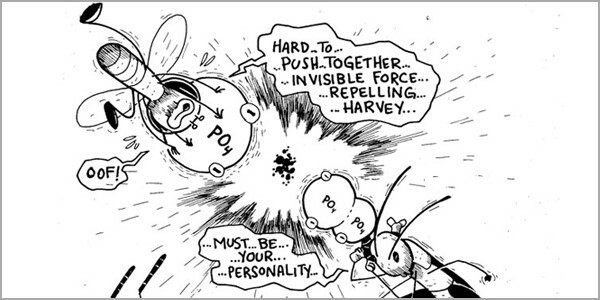 During this Café Botanique, Illya Kowalchuk, M.Ed (Director of Education for Pop Culture Classroom) will discuss how graphic novels easily and enjoyably explain topics such as fantastically powered beetles, DNA, even nuclear fission. Illya Kowalchuk is the co-founder of Pop Culture Classroom and DenverComic Con. Currently, Illya designs and oversees educational programming in schools, events, and correctional institutions. Wednesday, March 1, 2017, 6;30-8 P.M. Basic illumination techniques explored the symbolism and traditional components of this ancient design form which typically incorporated floral elements along margins and around capital letters. The students designed a personal illumination in this traditional style. By clicking here you can see more examples from this class. We have also learned to see textures and recreate those using colored pencils on Mylar film which is very different form paper surface. Mylar’s translucence and the new way of working gave a unexpected addition to these students’ toolbox. Please click here to see samples of textures. 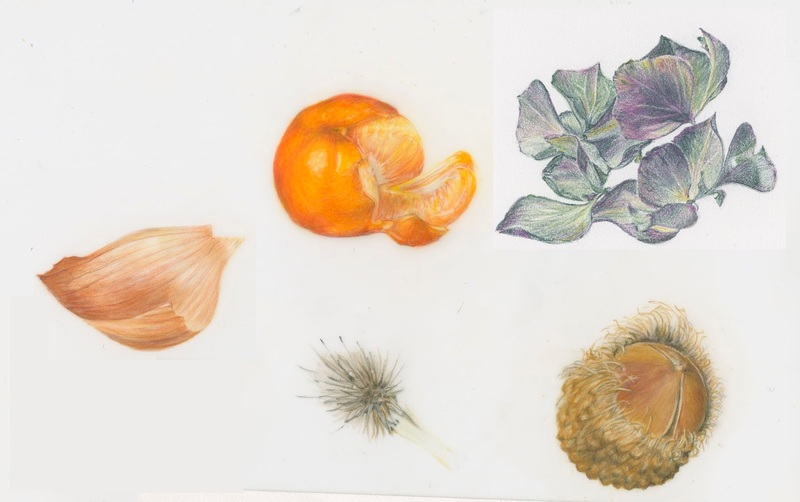 Finally some examples from our entry level drawing class, in many cases these well rendered tulips are the artist’s first attempt to draw a botanical subject. 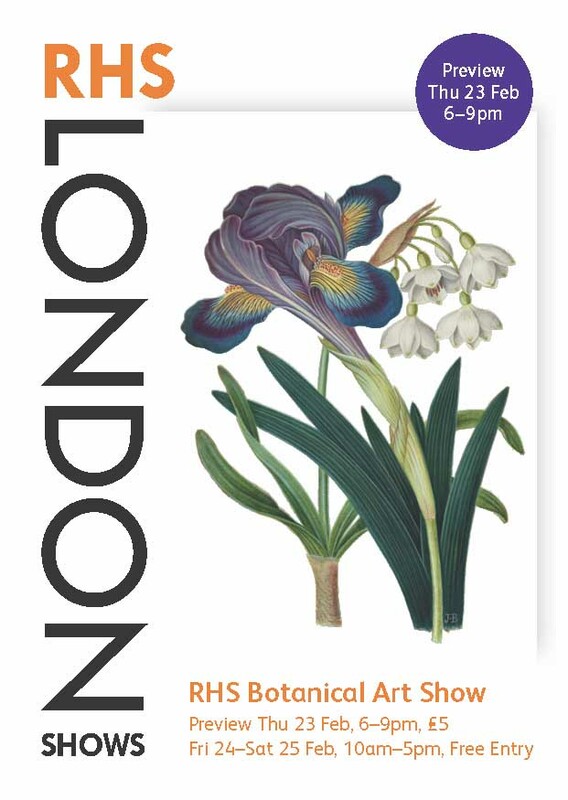 Royal Horticulture Society is hosting their annual Botanical Art Show in the Lindley Hall next week, February 24 and 25th with a preview on Thursday, February 23, 6-9 p.m. The 29 participants from 10 different countries are listed here. This year there are only two exhibitors from the United States. 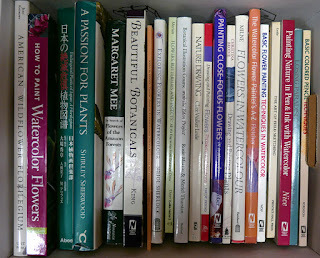 The trade stands at the Botanical Art show are highlighted here. Please plan to visit and stop by to say HI! 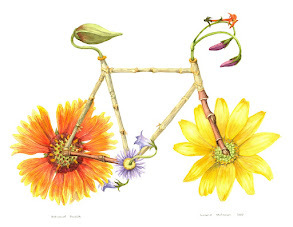 In conjunction with the Annual Old Town Lafayette Garden Tour, the School of Botanical Art &Illustration ispartnering with theCity of Lafayette to produce an exhibition of contemporary botanical illustrations highlighting plants that are illustrative of theurban homesteading movement. 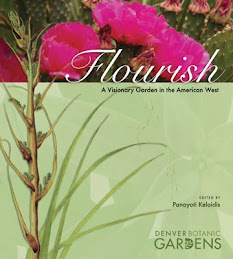 Possible subjects might include urban vegetable gardens, companion plants, backyard livestock, and bee hives. 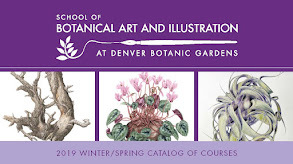 We welcome artists who have participated in courses at Denver Botanic Gardens’ School of Botanical Art and Illustration. Artworks of all levels and in any media taught in the school are welcome. 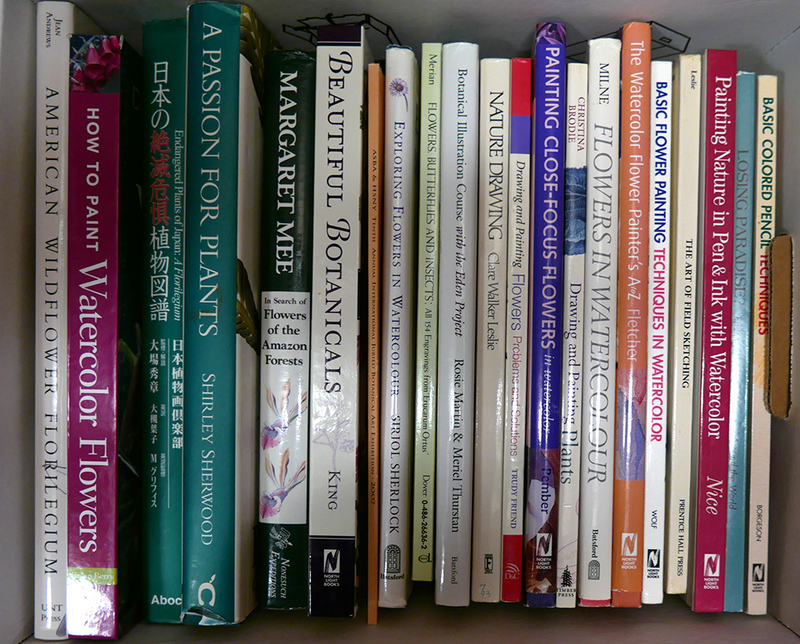 Urban homesteading has become a highly popular alternative to consumer-focused lifestyle. 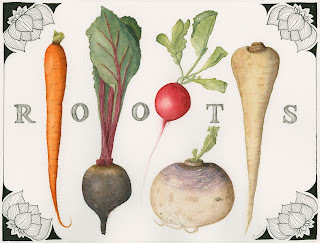 Studies report that every $1 invested in a community garden plot yields approximately $6 worth of vegetables. 800 million people worldwide grow vegetables or fruits or raise animals in cities, producing 15 to 20 percent of the world’s food. Urban gardening can not only be an easy way to support pollinators but can also reduce one’s environmental impact by returning to a home-based, self-sufficient way of life. Around a third of crops we eat depend on bees and other pollinators to thrive. 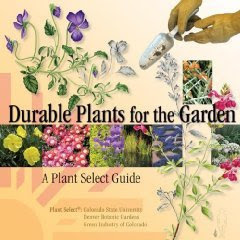 Some plants’ leaves attract pollinators even when they are not flowering—oregano, radish, for example—or plant squash, green beans and apple trees to invite pollinators to the garden. 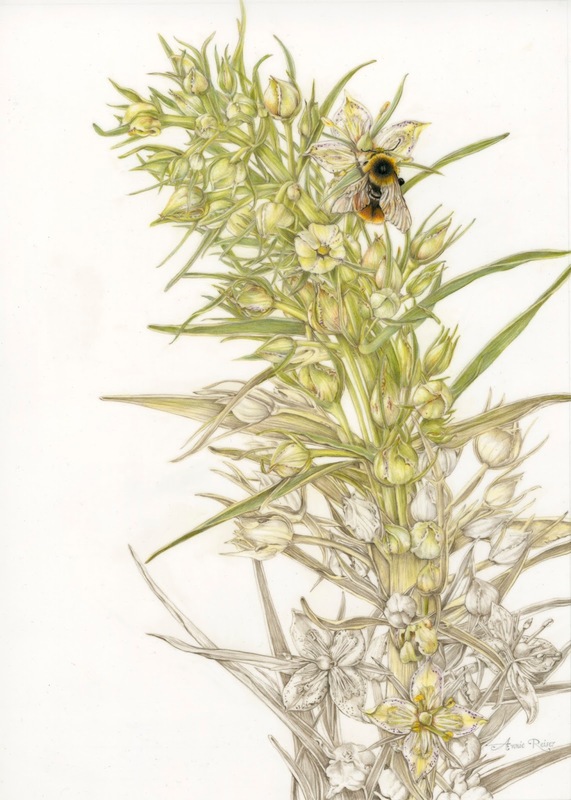 This exhibition will include plants identified as pollinator friendly and illustrations based upon themes of urban homesteading. We welcome all submissions whether traditionally based, contemporary, or “experimental” and we are eager to see a wide variety of thematic representations. Please refer all questions to Mervi Hjelmroos-Koski. 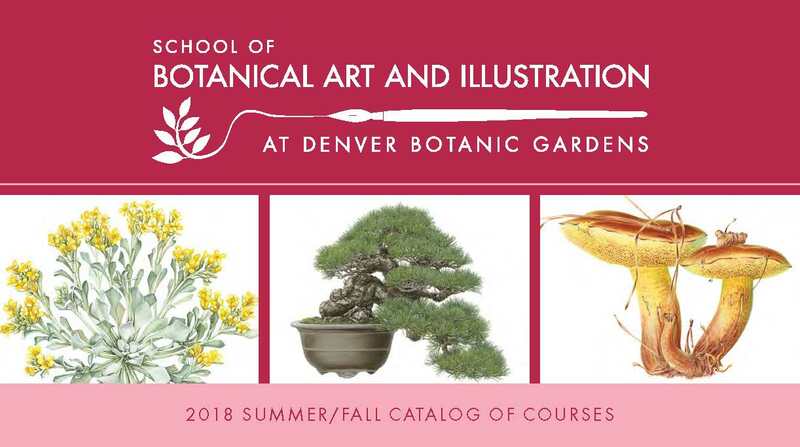 All media taught in the Denver Botanic Gardens’ School of Botanical Art and Illustration are accepted. All artwork must be original. No photography or digitally generated work will be accepted. No giclée prints or offset lithographs considered. If scale is included on the plate, only metric units are allowed. Each artist may submit up to five two-dimensional entries for juror consideration. Digital files only. Entries must be submitted digitally via CallforEntry.org™, also known as CaFÉ™. CaFÉ™ is a web-based service that has detailed on-line submission instructions and a team of professionals available to address your tech support needs. A complete submission includes a completed entry form and digital image for each entry. 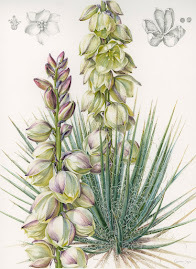 Images must be submitted as JPG files only, minimum of 1920 pixels on the longest side and 5.0 MB maximum with artist’s last name and title of artwork as the file name (e.g., Smith_Planta communis). 11:59pm, April 30, 2017, Mountain Daylight Time. TBA. 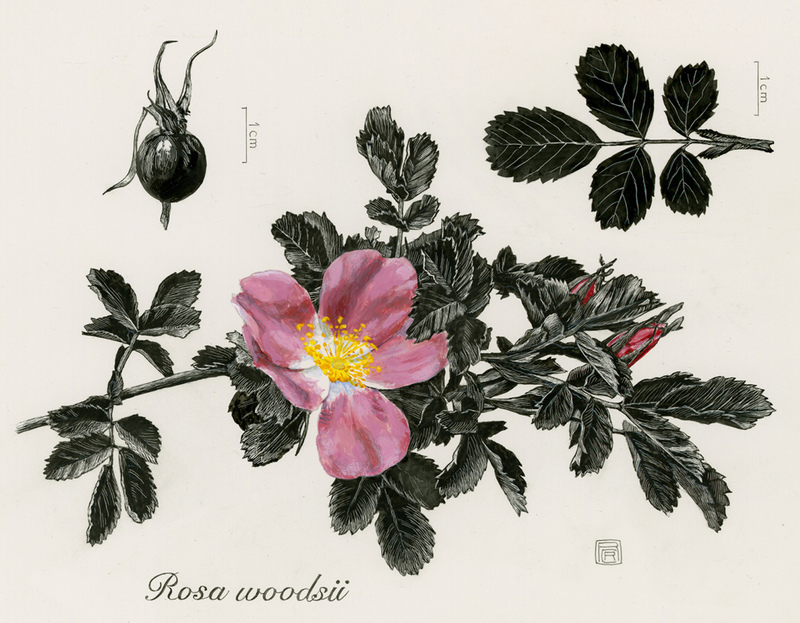 The work will be judged according to the standards of the media (typically composition, technical skills, and botanical accuracy), along with thematic relevance. Acceptances and regrets will be sent via e-mail by May 9, 2016. 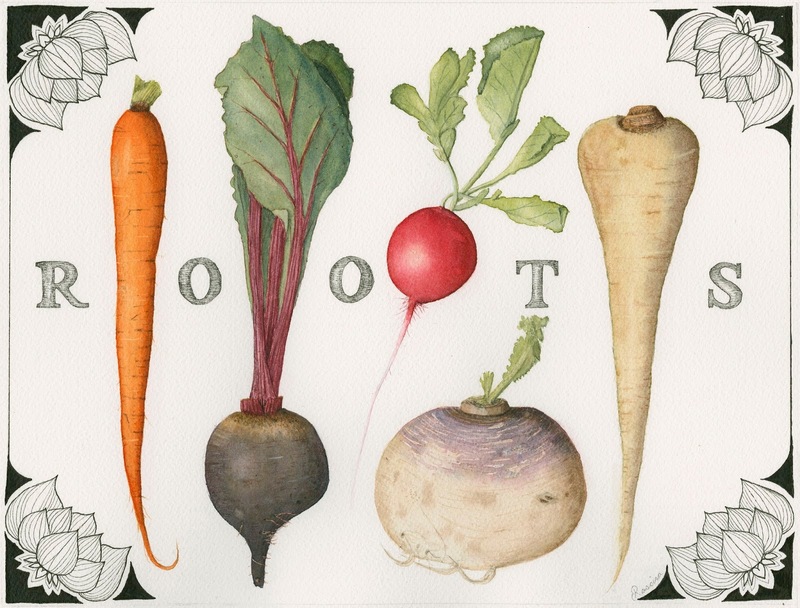 Upon acceptance to the exhibition, artists will submit matted artwork only; no frame. Mats must be 4- or 8-ply white rag (no cream or off-white mats), fitting exactly into a 16” x 20” frame (interior measurement). Pieces must be matted with both a backing board and a face mat and must be appropriately and securely attached within the matting—hinging and photo corners are both acceptable. Please do not submit matting with any loose elements, i.e. backing board or face mat not attached or piece not secured inside the matting. 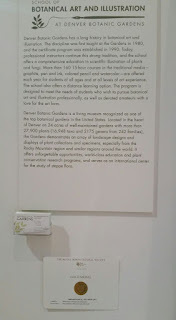 Delivery requirements will be detailed with acceptance notices.Artwork is insured by Denver Botanic Gardens during transportation and by the City of Lafayette while on site at the gallery. 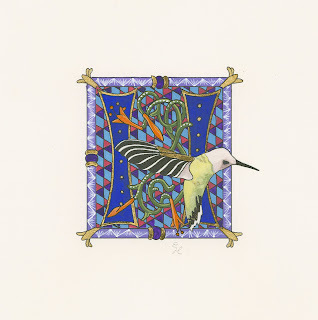 Publicity: Images submitted for this exhibition may be used in publicity in print or electronic form for the exhibition and may be used for promoting the exhibition before, during and after its run without further permission being sought. Please direct all technical questions to CallforEntry.org.